The drama between Tonto Dikeh and her estranged husband, Churchill Olakunle is a long way from over. 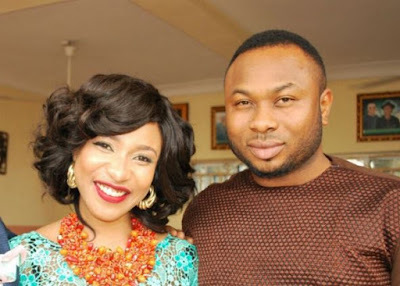 An unnamed source close to Churchill has discredited Tonto's claims that she bought two new cars herself and passed it off as gifts from her husband. The source told journalists also said that Tonto had a drug problem and was sometimes very violent. ''She claimed he never bought her all those gifts but she returned the Lexus jeep he bought for her and kept the Prado. She drives a Prado, can she afford to buy one herself? She just became bitter. And she was always threatening him, saying she would go online and release lies about him and ruin his life and career because for some reason, she thinks she made him. ''Olakunle is not perfect but he's not the devil she's painting him. This is a man who bought a G-Wagon for her dad. She was still using drugs and Olakunle was seeking help for her as he was committed to their relationship.